This extension allows you to change how Facebook appears to you. Initially after installing Facebook will appear to be exactly the same as normal. To change the colours, navigate to a Facebook page and then click the colourful icon in the address bar. Two colour pickers will show, and by clicking or dragging the crosshairs and arrows you can select two colours and your Facebook will automatically change to these new colours. After you have selected new colours then Facebook will display all pages in this colour scheme for you. And if you want, you can always revert back to the default colours with one click on the link under the colour pickers. it will now ask for confirmation, here click on Add button. after a few second this extension will be added to chrome, now at the end of search bar you will find a colored Facebook icon click there and type two color names and your Facebook color scheme will be changed according to your choice. 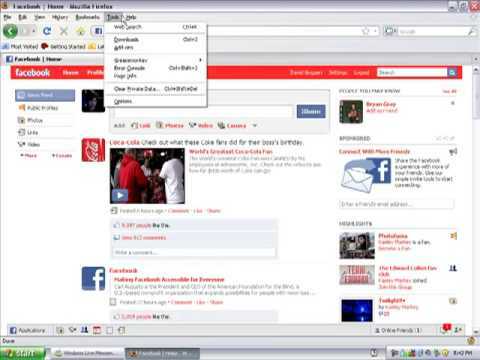 some more useful extensions  related to chrome are,..
to allow you quick and easy access to available Facebook themes. Change the background of Facebook! You can now add your own backgrounds by dragging them from your computer or entering a URL of a picture.